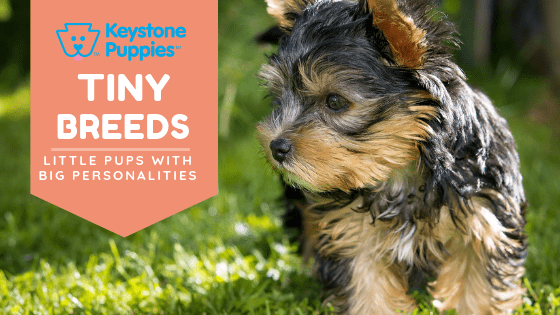 Whether you call them miniature, toy, tiny, or teacup, the littlest breeds of dog are among the most well-recognized and beloved pets in America. These breeds may be small in size, but they have lots of courage, personality, and attitude. Will one of these tiny breeds be right for your home? Like many of the unusual breeds in the canine worlds, toy dogs were initially bred to be pets of nobility or aristocracy. Since ancient times, the rich and powerful have been obsessed with the tiniest of pups. Some breeds were so prized (and expensive) that they could only be owned by royalty. The Pekingese is such a breed. Ancestors of this breed have been traced back 2,000 years, and at some points in history, illegal possession of a Pekingese could be punished by death. However, in the 1800s dogs were traded or smuggled out of China, and their popularity has grown ever since. Pugs were similarly prized by (and restricted to) Chinese aristocracy. Small dogs played multiple roles in court. Toy poodles were known as “sleeve dogs” in the 17th century because French aristocrats carried them around in billowing sleeves for warmth. Shih Tzus were bred to be lovable guard dogs, warning their noble masters of people listening to doors or hiding around corners. Other breeds of dogs were bred for small size for more practical reasons. The Terriers were bred over the past few centuries to be small and nimble enough to burrow into the ground after rodents. Some theorized that even ancient lap dogs breeds like the Maltese were bred small to make them good rodent hunters but breeding for appearance eliminated these traits over time. 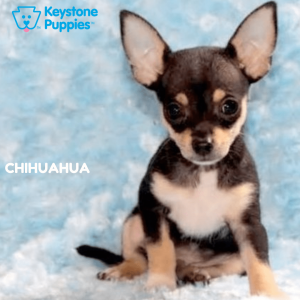 For other breeds, like the Chihuahua, the reason for their small stature is lost. Chihuahuas and their tiny predecessors appear to date back to Mayan times, and little is known about their origin or their original purpose. Will one of These Toy Breeds be Right for You? 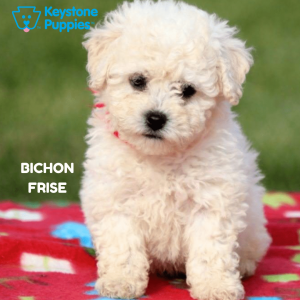 The Bichon Frise appeared in France and areas of Spain in 1600s. They were bred as companion dogs for royalty. This playful breed is friendly, gentle, and enjoys playing with other dogs. The Bichon is known for its merry manner. This puppy breed is very social and wants to be around people. The Bichapoo is a designer breed created through the cross of the Bichon Frise and the Poodle breed. They are playful and good with children. 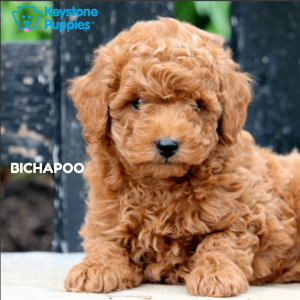 Like many poodle hybrids, Bichapoos tend to shed less and be more hypoallergenic. 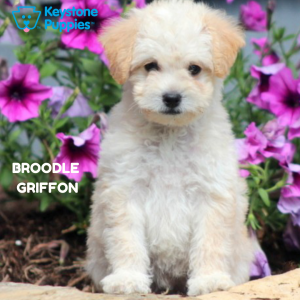 The Broodle Griffon is a designer breed created through the cross of the Brussels Griffon and the Poodle breed. These pups are lively and even-tempered. They love to be with their owners and aim to please. They are highly intelligent and do well with children. 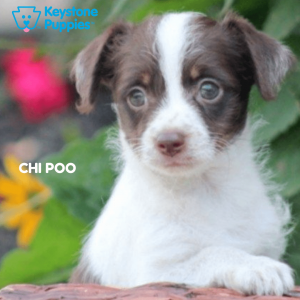 The Chi-Poo is a designer breed created through the cross of the Chihuahua and the Mini Poodle breed. These puppies are intelligent and playful. This breed is alert, likes to bark, and makes a great watchdog. Chihuahuas have been around so long that it’s no longer possible to trace their origins. They are believed to come from Mexico during the times of the Aztecs and Mayans. This courageous breed barks when strangers approach, making them good watchdogs. Chihuahuas need socialization with other animals to prevent aggressive behavior. The Chorkie is active and playful. This spunky pup makes a great watchdog. With their high level of energy, they love to play in the yard with their owners. 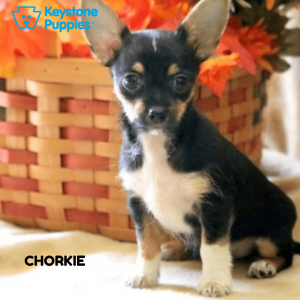 The Chorkie is a designer breed created through the cross of the Chihuahua and the Yorkie breed. 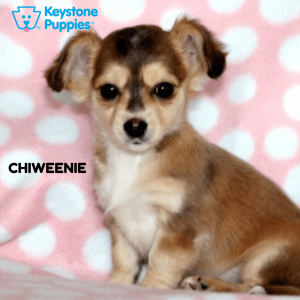 The Chiweenie is a designer breed created through the cross of the Dachshund and the Chihuahua. This puppy breed is intelligent and playful. Training is required because they can be quite stubborn. Chiweenies also make excellent watchdogs. 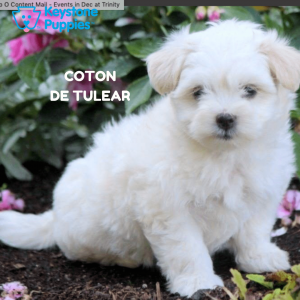 The Coton de Tulear comes from the island of Madagascar and is still the island’s national dog. The Coton de Tulear is a variation on the Bichon dog type. Although still rare, this breed is becoming increasingly popular in the United States. These sociable pups get along well with children. They learn quickly but can be stubborn, so training is recommended. 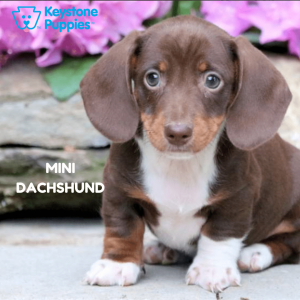 Mini Dachshund pups are protective and good with children. The Dachshund breed may go back as far back as to ancient Egypt, where engravings showing Dachshunds have been found. In more recent times, Dachshunds were bred for badger hunting, but the Mini Dachshund is bred as a companion dog. 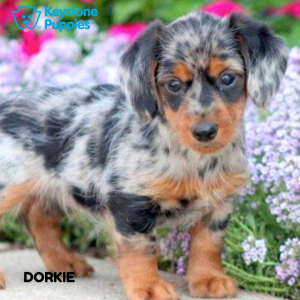 The Dorkie is a designer breed created through the cross of the Mini Dachshund and the Yorkshire Terrier. These puppies love to chase balls in the yard and make loyal companions to their owners. This breed can be wary around young children. 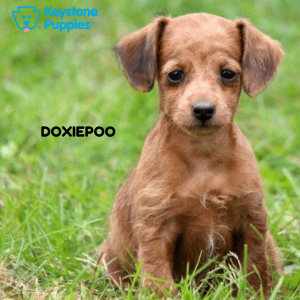 The Doxiepoo is a designer breed created through the cross of the Mini Dachshund and the Mini Poodle. This intelligent breed can be wary of strangers but are loyal and loving to their families. The small Toy Fox Terriers were bred to control pests and vermin, but because of their size and speed, they also became popular hunting dogs for small game. Toy Fox Terriers are obedient and easy to train. They do well with children. This breed is also energetic and needs lots of outdoor exercise. 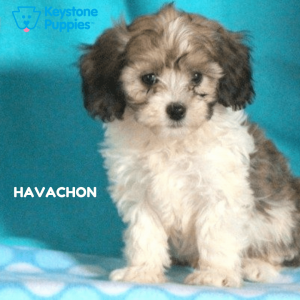 The Havachon is a designer breed created through the cross of the Havanese and the Bichon. These pups are intelligent and playful. They don’t require a lot of exercise and love to snuggle. They’rea also good with children. 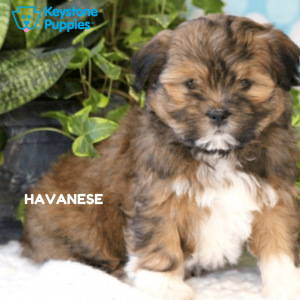 The Havanese was originally bred in Cuba to play with children in the 17th century, so they are great with kids. These Cuban dogs do well in the heat and started showing up in the States in the 1970s. Like most lapdogs, they want to be close to their owners. These puppies learn commands quickly and excel in obedience training. 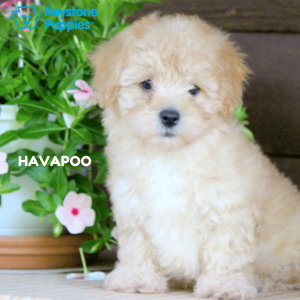 The Havapoo is a designer breed created through the cross of the Havanese and the Mini Poodle. This breed is friendly and devoted to their family. They do excellent with children and love attention from their owners. Like many poodle hybrids, Havapoos tend to shed less and be more hypoallergenic. 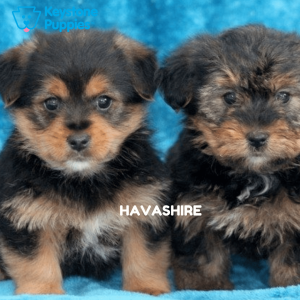 The Havashire is a designer breed created through the cross of the Havanese and the Yorkie. The breed is affectionate and has a gentle manner. These puppies love attention and do well with children. 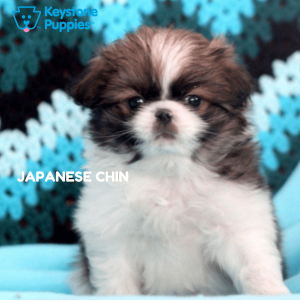 The Japanese Chin in an ancient breed with was bred as a lap dog for royal families in Japan. These pups are very intelligent, loyal, and playful. They demand attention and tend to follow their owners around until they get it. 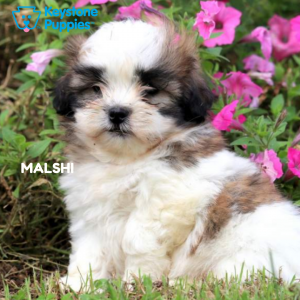 The Mal-Shi is a designer breed created through the cross of the Maltese and the Shih Tzu breed. The Mal-Shi is gentle, loving and makes an excellent family pet. This designer breed is outgoing, trusting and enjoys spending time indoors with their masters. This breed originated in the small island of Malta, off the coast of Italy, and is one of the oldest known dog breeds. 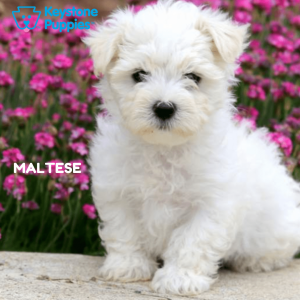 Maltese are related to the early Spitz dog and the Tibetan Terrier. This breed is trusting and devoted to their masters. They may nip if they feel threatened. They prefer to be near people but may need to be supervised around smaller children. The Maltichon is a designer breed created through the cross of the Maltese and the Bichon Frise. The Maltichon is energetic, loving, friendly and intelligent. They enjoy spending time with their family. This breed does well with children and other pets. The Peekapom is a designer breed created through the cross of the Pekingese and the Pomeranian. These fluffy puppies are intelligent and affectionate. They do well with children and tend to have lots of energy. 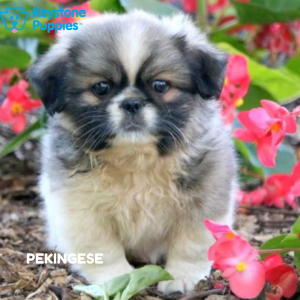 The Pekingese was bred for Chinese nobility as far back as 2,000 years ago. Commoners were forbidden from owning them. Eventually, they were used in trading and for gifts of state, and the breed became popular in Britain in the 1800s. These puppies are affectionate and enjoy being indoors with their families. Pekingese tend to be wary of strangers. 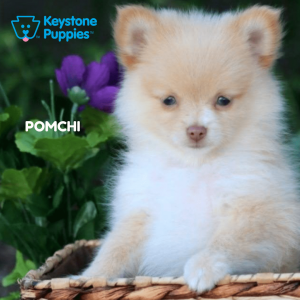 The Pomchi is a designer breed created through the cross of the Pomeranian and the Chihuahua. They are lively, intelligent, and courageous. This breed is very loyal to their owners and should be socialized at a young age with other dogs. The Poodle originated in German and Russia during the 16th century but was bred down in size in France, resulting in the Toy Poodle. The Toy Poodle is even-tempered and intelligent. These affectionate pups can be highly excitable and are always eager to please their owners. Toy Poodles do well with children. 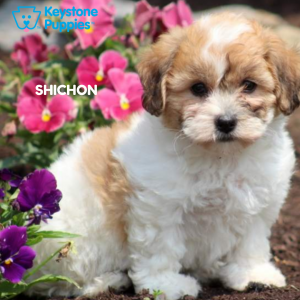 The Shichon is a designer breed that is a cross of the Shih Tzu and the Bichon Frise. This breed is very loyal and should be socialized at a young age with other dogs. Shichons adore their owners and enjoy being held, making them excellent lap dogs and family pets. The Shih Tzu is one of the most ancient of dog breeds. They have been seen in paintings that date back to the 16th century. Shih Tzu’s are gentle and loyal. They are trusting and companionable. This breed gets along well with other dogs and children. This lapdog is highly recommended as a family pet. 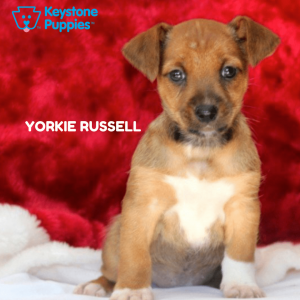 The Yorkie Russell is a designer breed created through the cross of the Jack Russell and the Yorkshire Terrier. This breed is active and athletic, and love outdoor play. They love to snuggle but also are wary of strangers and make good watchdogs. 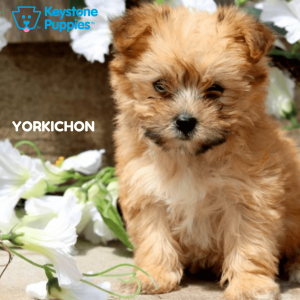 The Yorkiechon is a designer breed that is a cross of a Yorkie and the Bichon Frise. Yorkiechons are loving, gentle, and make sweet lapdogs. But they are also strong-willed and sometimes apprehensive of strangers. Yorkiechons will alert their owners of any strangers approaching. The Yorkiepoo is a designer breed created through the cross of the Yorkshire Terrier and the Poodle. This pup is active, fearless and loves attention. The Yorkiepoo is a snuggly lapdog that does well with children and other pets. 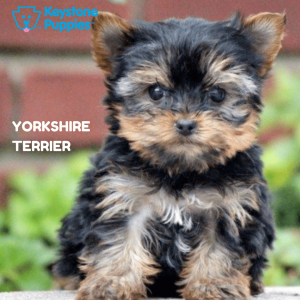 The Yorkshire Terrier was developed in the 19th century to help control rodents. The Yorkie is confident, active, and loves attention. This spunky breed is a talented watchdog. Because the Yorkie has high levels of energy, they enjoy chasing and playing with toys. They’re also snuggly and need lots of love and attention from their owners. If you’re considering a tiny breed, make sure you can provide a safe and caring environment for these little pups. Most toy breeds crave attention and need lots of love to feel secure. If you don’t know which breed of puppy is right for you, check out over 200 breeds here. If you know which breed is right for you, get started here. 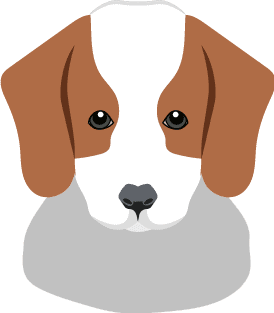 Herding Breeds – Are They Right for You?